The 21 Piece Geometric Make Up Brush Set contains every brush you need for perfect make up application. 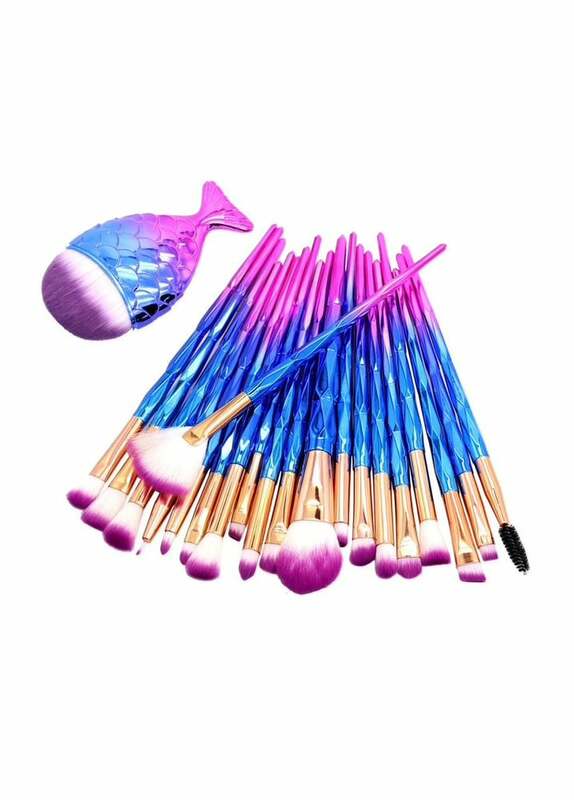 The brushes have ombre blue and pink, geometric shaped handles and pink tip synthetic bristles. This set contains everything from eyeshadow brushes to a mermaid tail blusher brush and will also look great on your dressing table.